Having a baby, getting married, getting divorced... and moving house. These are well known as the major causes of stress in the civilised world. Moving house... just think of it. Remember the last time you moved? How you swore you would be carried out of this house in a box rather than ever go through the moving process again? All those packing cases, all that furniture that suddenly doesn't seem to fit, all those broken ornaments, all those lost bits and pieces. Sleeping on mattresses on the floor because you're too tired to set up the beds... or more likely, you can't find the nuts and bolts needed to fasten them together! Think of the arguments, the exhaustion, the sense of not belonging in this strange new building you are now to call home... then multiply it by ten if the move is one from the UK to France. Use removal experts or DIY when moving to France? Congratulations, you've bought a house in France. You've done it, signed on the dotted line, shaken hands with the Notaire, and maybe even met the Maire. You listen to your "Learning French with Michel Thomas" tapes or CDs every evening, and the passports are updated. You are moving to France to begin your brand new ex-pat lifestyle. Now, set aside the romantic notions for one moment, allow that dream of sipping wine in the land where the grape is grown to take second place to the practicalities, and consider this. You need to find a way of transporting all your worldly goods to France to share in this new and wonderful life (French Connections). The first big decision you have to make is whether to tackle the job alone, or whether to bring in the experts and get out the cheque book. Moving your belongings to France yourself is only practical if you own a large van or have access to one, and do not have too much stuff to take or are prepared to make several journeys. If you have access to a large van, whether through a loan from friends or a hire company, please remember that it will have to be returned to the UK after the move to France. When we bought our home in the Languedoc (Languedoc-Roussillon Property Guide), we moved from the north-east of England to the south of France using a large Ford Transit van and a four-wheel drive car with a trailer. We then repeated the process with just the van and trailer... about seven times. Crazy as it may sound, this was a reasonably practical option for us, as at the time my husband was still working and running a business in the UK, meaning that he was making regular trips between the two countries anyway. It happened to suit us, but although DIY can be a tempting choice if cash is short, the disadvantages of moving to France this way are clear. Not only is the travelling a huge consideration (and not even all that cheap, once you have counted in the ferry tickets, auto route tolls and fuel) but remember that on arrival at your destination all the logistics and difficulties of actually getting the furniture and accumulated goods into the correct places in the house are down to you. Carrying the heavy stuff, getting it up and down flights of stairs that were clearly never designed to accommodate wardrobes and king-sized iron bedsteads... down to you. Making sure that you have parking and access permission from the Mairie (many French properties have limited access and therefore prior permission is needed to park large vehicles whilst offloading)... down to you. Are you sure you want the additional stress of a DIY move? Option B is to call in the professionals and use a removal company for your move to France. But how can you be certain that the people to whom you are trusting with what amounts to your life in a lorry, really are experts? There are, as in any other business, a fair percentage of cowboys and a fair percentage of genuine experts. The difference is often apparent in the price, so the cunning plan to accept the cheapest quote may not be so cunning after all. Of course you don't want to pay through the nose either but do be sure that the firm you choose is registered and experienced. Check that the removal firms you are considering have membership of the BAR (British Association of Removers) or a recognised international alternative such as the FIDI. In seeking quotes from UK companies, you will find a great disparity with prices. For a typical family home of 75cbm size, the quotes will range from £3,000 to £8,000 to move from the south of England to the south of France. It is wise to do some research on the companies before you make your choice! 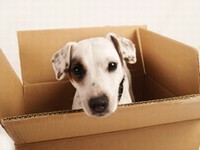 Experienced in removals to France? Check also that the company is experienced in removals to France, that the quote includes all likely charges and that the dates are firm. Finally, very importantly, check that the removal company is properly insured, as things can go wrong in house moves, even for the professionals. Consider what would happen if the firm you've chosen have skimped on the insurance to offer a cheap quote, are not fully covered and break something valuable?" The experience can be far less stressful if it's well planned in plenty of time and in a sensible, logical way. Like most other things in life, you get what you pay for. Leaving it till the last minute for the best price may work for cheap holiday packages but it doesn't with removals. In fact it usually works the opposite way like budget airlines, the earlier you book your removal, the better the price. You should start talking to removal companies as soon as the Compromis de Vente is signed, or even before. Cautionary tales abound of those who have not quite considered all the eventualities when planning their moves. Commonly people wait too long to contact a removal firm, and find themselves desperately trying to arrange a removal in the busiest times of the year. June, July and August are favourites for moving to France, so if you are able to avoid these times it might be wise. Next on the list for popularity are school holidays, so, once again, if you are planning to move and need to do so during these busy times the key advice is to plan ahead and book your removal well in advance. Then there are those who have booked everything to coincide with the signing of the Final Act for the house purchase only to find that there is last minute hitch at the Notaire's office, resulting in a van arriving full of furniture for which there is no house available... yet. Another problem can be that the lorry that arrives cannot reach the property... or anywhere within a mile of it due to narrow or otherwise difficult access. This can necessitate using a smaller van that can ferry goods and furniture from the lorry to the house. It is wise to check out the likely need for this and to budget accordingly... and to be honest with the removal company if there are likely to be problems. Other common disasters include spiral staircases that have initially charmed people into buying the house, only to discover that nothing bigger than a matchbox will go up them, homes that have had all the light fittings, door handles, electrical switches, kitchen and bathroom fittings (even down to the lavatory!) removed (common and acceptable in France), and even removals where one family member has not seen the new house until arrival with the lorry, and takes such a dislike to it on arrival that the lorry has been requested to turn around and return everything to England immediately! What can you expect from your removal firm when moving to France? 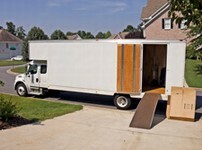 Removal men are experts in their field, and it is worth listening to their advice. If they say that something will simply not fit into a given space, it probably won't. They will unpack cartons that they themselves have packed, upon request, to prove that items are undamaged, but are only required to place these items onto a flat surface, not to arrange them in your display cabinets or kitchen dresser! They are not, however, required to unpack or take responsibility for items labelled PBO (packed by owner) nor are they able to fit kitchen equipment, make electrical or plumbing connections or, re-assemble flat pack furniture that they have not dismantled themselves. Although reputable removal firms will make every effort to leave things as tidy and clean as possible it is not their job to throw away the detritus of removals (such as cardboard packing cartons), nor is it their job to wash floors after themselves or dust or hoover! In short, removal men should be competent professionals but not miracle workers nor maids of all work. If you have a genuine complaint please let them know this at the time, and give them a chance to sort it out before you notify the boss of the firm. Removals over and you've moved to France! It's over, at last, you've moved to France. The removal lorry has left, you've waved goodbye, or perhaps as now you are a bona fide French resident we should say "au revoir". You've unpacked the essentials, you have at least mattresses on the floor promising a reasonable chance of sleep tonight and if not chairs, there are plenty of packing cases ready and willing to serve as chairs. Put your feet up, reach for the corkscrew and pour that wine... your new life en France begins here!